1. New threads about dancing technique on our FORUM FOR DANCE QUESTIONS. Today I would like to share some of the new threads that have been opened at our FORUM FOR DANCE QUESTIONS. For those who are new at our website, our forum is a special section where you can ask dance related questions. You will always receive an answer there, at least from me. Afterwards, each question remains opened as a thread where others can give you more advice or where you can participate with comments as well. There are many other interesting threads there. Just visit the Forum for dance questions about technique and browse! I recently started to teach an advanced contemporary dance class that should be focused on the dancing technique. As contemporary dance is so wide and has so many different aspects to study (including improvising technique and many training styles), I spent a good time thinking about how I should guide this class and what the content should be. After some weeks of turning around the topic, I concluded that even when a dancer is of an advanced level, there are basic tools that are always good to remember and include within the daily training. So, before a series of renowned exercises of floor work, I decided to start the class with a basic routine for general self consciousness. We use many related words to refer to this matter: placement, positioning, alignment… The most common understanding of it relates to the mechanical posture, which includes bones and muscles mostly. A ‘right’ posture for dance would respond both to our physiological needs or limits and to the specific aesthetics of the dancing style we are studying. Now I’ve wanted to remember my students that there’s a broader way to understand the concept of posture. For me, it also includes the rest of what we are as human beings: mind, feelings, motivation and attitude in a general way (not only flesh and blood). Our ‘ethereal’ body, as I will call it here for the lack of another word, is as important among the elements of the dancing technique as our fleshy, tangible, mechanical body. Not only we need it deeply to achieve dance, but it is the source of our own magic and expressivity as interpreters. 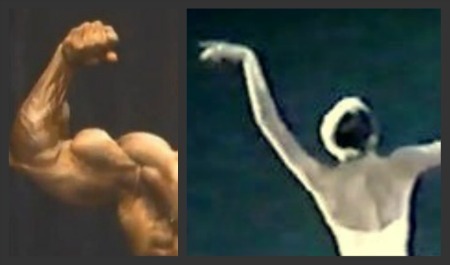 And I definitely believe that the ‘ethereal’ body can be trained, just like our muscles. So, my first recommendation for the start of the daily training of a dancer would be to focus attention on the observation of posture. First observe and then adequate to the current needs, when proper, possible or necessary. One of the things I’ve learnt from eastern bodily practices (like Hatha Yoga or Tai Chi Chuan) is the importance of breath for everything we do. Western dancing techniques do work over this matter but in such a trivial way compared to what it means for eastern practices. Due to my faithfulness to some features of eastern cultures, I’ve progressively incorporated the consciousness of breath as a real fundamental, not only of my dancing training but also of my personal daily life. 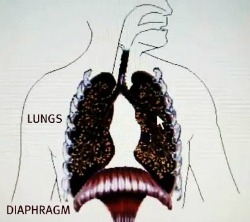 It is very common that western dancing techniques, and even singing or acting techniques, teach to breathe expanding the diaphragm. According to traditional Yoga, that would be a middle level breathing and there would still exist a deeper level that occurs towards the lower trunk. We would be able to breathe in three levels: upper, middle and deeper level. I remember, for example, that the dancing technique of José Limón emphasizes on the diaphragmatic breath. However, I propose my students to give themselves the time to experiment what I understand as the deeper level of breath. The deeper level of breath would be achieved by voluntarily mobilizing the lowest part of the abdomen, more than the diaphragm over the navel. I use to tell students to imagine that they are absorbing air from the perineum (Tai Chi masters use an image that goes even further: “Breathe from your heels”, they say). In my case, the practice of this way of breathing has helped me find several things: deeper concentration, deeper relaxation, greater control of general placement, better stamina and great diminishment of expenditure of energy. But, it is important to consider the fact that the effects of breath vary according to its placement (which is its level), but also to its width (broad or narrow) or frequency (speed). Finding a proper placement for our breathing should be combined with the proper speed and width. And I say PROPER, because I believe that breath needs to be continuously adjusted while dancing. There’s not a definitive, correct way of breathing actually, but an adjusting ability. So, other than experimenting and practicing with the deeper level of breath, the work at the class is to improve our consciousness of how we are breathing at every moment. To explain what I mean by ‘tonicity’, I give students the example of the way people shake hands in the street. Some people really squash your hand and don’t even see that it hurts you; others have the so called ‘fishy hand’: completely weak and kind of empty; others adjust the force to transmit their presence and their awareness of your presence as well. That example is a good proof of the fact that one same movement can be executed with different intensities of muscular force. In fact, I believe that the spectrum of ‘tonic’ expenditure is infinite and each movement or coordination has its own needs. 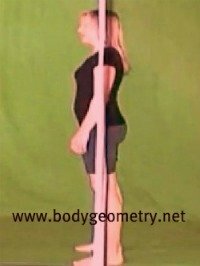 So, as with breath and posture, muscular tonicity is something that we need to recognize and learn to apply. That is something that should serve us both for physiological needs and for the accomplishment of proper dynamics of any dancing aesthetics. Now, there’s still something important about these three major tools that I propose as part of the dancing technique and daily training. They are interdependent. Changes in one of them will usually modify the others. So, once we are aware of them, we will end up perceiving a really orchestrated system within us that needs to be tuned up continuously.